This lab activity is designed to allow students to explore the use of indicators. It serves as an introduction to acids, bases and pH. 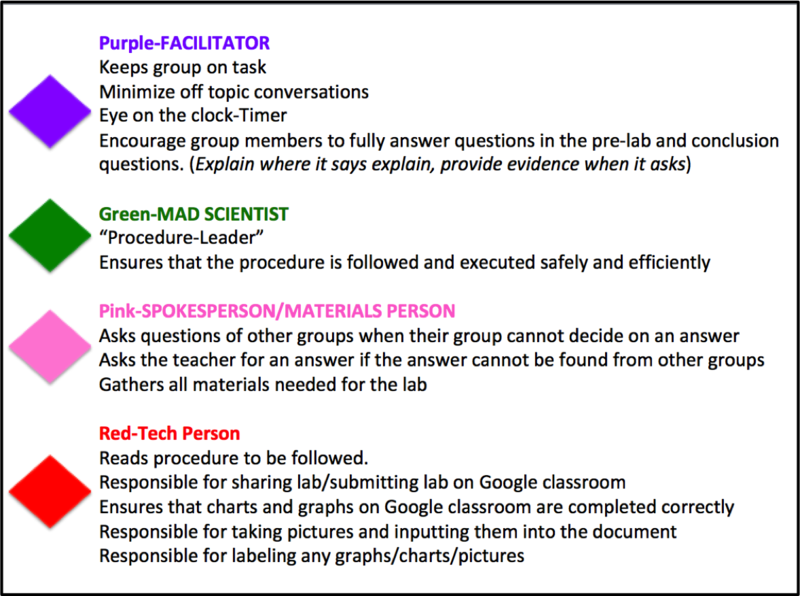 Every time we do a lab, students are assigned a role within their group (see figure 1). I have role descriptions on cards and depending on the lab and the class I either have them self assign or I assign the roles within each group. I have the students identify the role that they played on the lab sheet they turn in. See the Teacher Document PDF for a printable set of cards. Students will determine their own procedure steps given three prompts and the materials they are provided. If you provide the student with a digital document, they can add photos for each problem. See figures 1-3 for student photos for Problems 1 and 2. Additional student photos are shown in the Teacher Document found in the Supporting Information. I allow students to take pictures on their phones and add labels using snapchat/instagram, but if you are not comfortable with that or have a no cell phone policy you can have them bring them up to show on a document camera/projector. Student and Teacher Documents can be found in the Supporting Information when readers are logged in. One way we can determine the pH of an aqueous solution is to add an indicator to the solution. 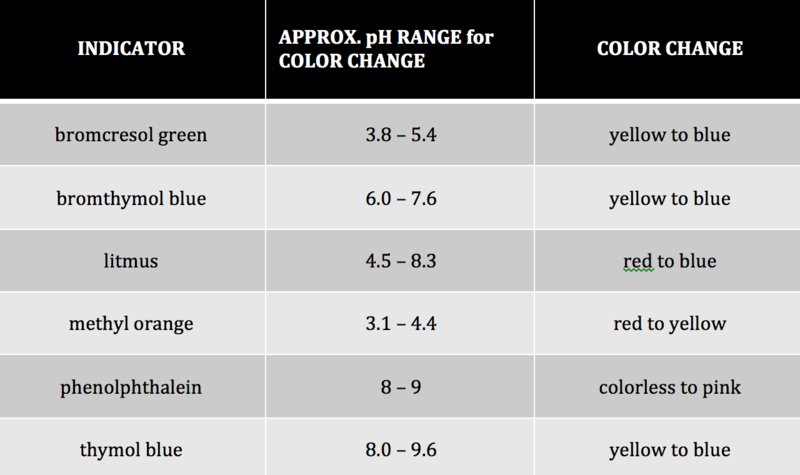 Different indicators change color at different pH ranges. For example, according to Table #1, methyl orange will change from red to yellow in the pH range of 3.1 to 4.4. This means that for any solution with a pH value less than 3.1 the solution will be red. If the solution has a pH greater than 4.4 it would appear yellow. In the intermediate range of 3.1-4.4 the solution will appear orange. Some indicators are more appropriate to use than others when distinguishing between acidic and basic solutions. Bromothymol blue is a good indicator to distinguish between an acid and a base because its pH range is from 6.0-7.6. Therefore, acids will appear yellow and bases will appear blue in the presence of bromothymol blue. 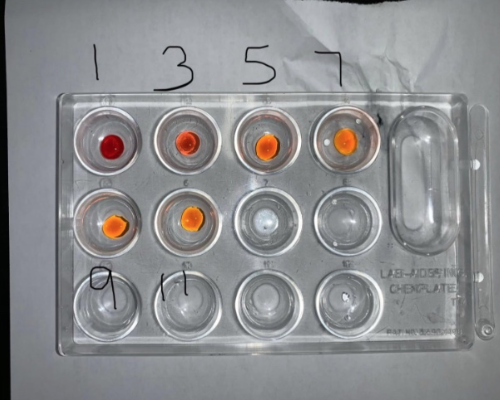 This lab activity is designed to allow you to study and gain a better understanding of pH and its relationship to acids and bases as well as its effect on indicator dyes. 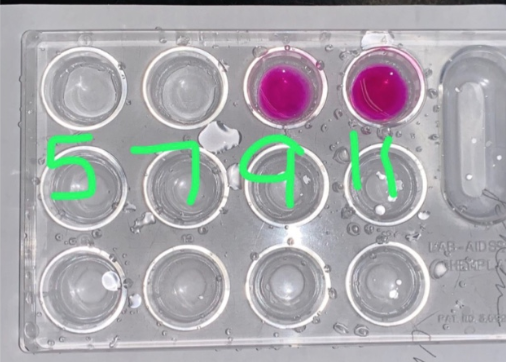 Problem #1: Determine a procedure to prove that the pH ranges for the indicators methyl orange, phenolphthalein, and bromothymol blue on Table #1 are accurate. Design a procedure in which the observations made will provide evidence that the pH ranges on Table #1 are accurate. Write your procedure below. Show a labeled picture of your results below. What are the limitations of your procedure/experiment? How could your experiment be improved? Problem #2: Determine a procedure to show that universal indicator can be used to determine pH, not just pH ranges. 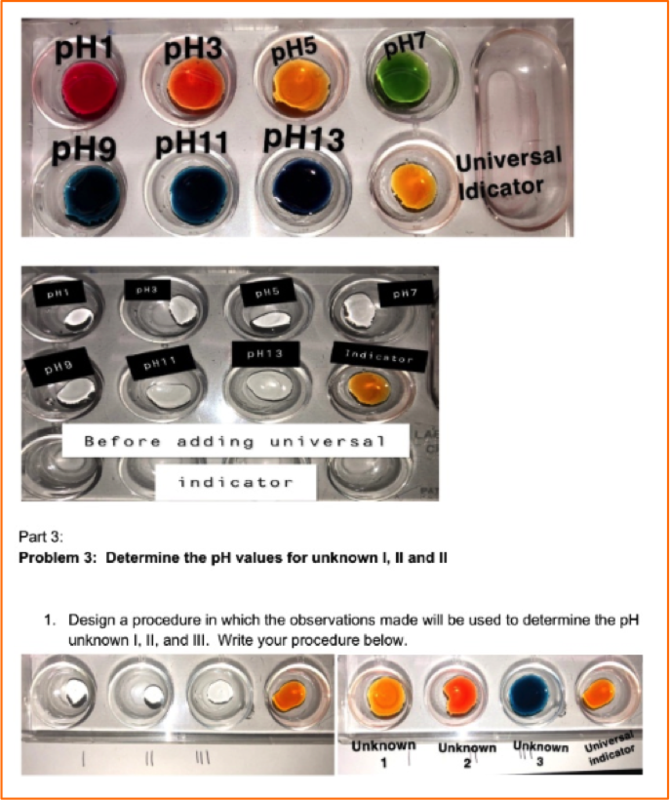 Design a procedure in which the observations made will provide evidence that universal indicator can be used to determine pH, not just pH ranges. Provide a data table below that provides evidence that universal indicator can be used to determine pH, not just pH ranges. Show a labelled picture of your results below. Problem #3: Determine the pH values for unknown I, II and III. Design a procedure in which the observations made will be used to determine the pH of unknown I, II, and III. Show a labelled picture of your results below. Teachers can purchase solutions for each known pH value students will use or make their own. The same for the three "unknown solutions". Set out all materials listed. I used Lab-Aids #81 Kit pH Measurements/Indicator Kit many years ago. I have modified the activity over the years. Engineering Design - Design a solution to a complex real-world problem is a performance expectation related to Engineering Design HS-ETS1. Using scientific knowledge to generate the design solution: Students restate the original complex problem into a finite set of two or more sub-problems (in writing or as a diagram or flow chart). For at least one of the sub-problems, students propose two or more solutions that are based on student-generated data and/or scientific information from other sources. Students describe* how solutions to the sub-problems are interconnected to solve all or part of the larger problem. Describing criteria and constraints, including quantification when appropriate: Students describe criteria and constraints for the selected sub-problem. Students describe the rationale for the sequence of how sub-problems are to be solved, and which criteria should be given highest priority if tradeoffs must be made.